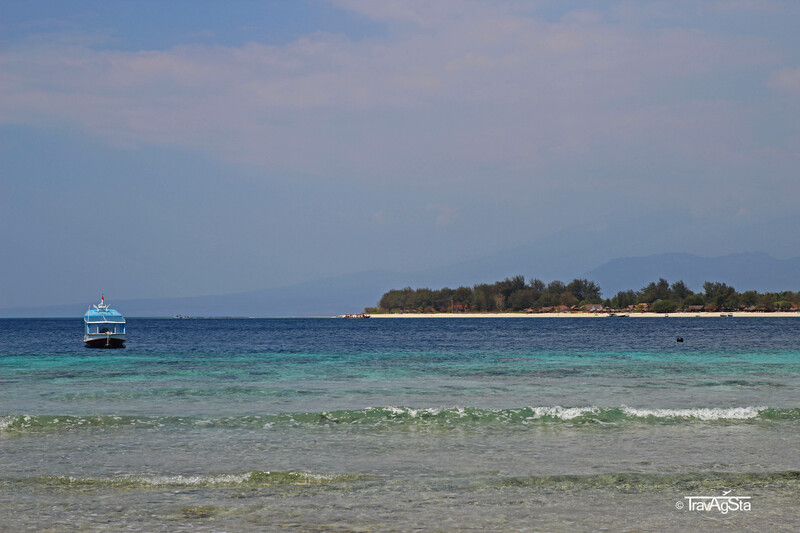 Gili Trawangan – When ‚Off the beaten path‘ becomes a nightmare! 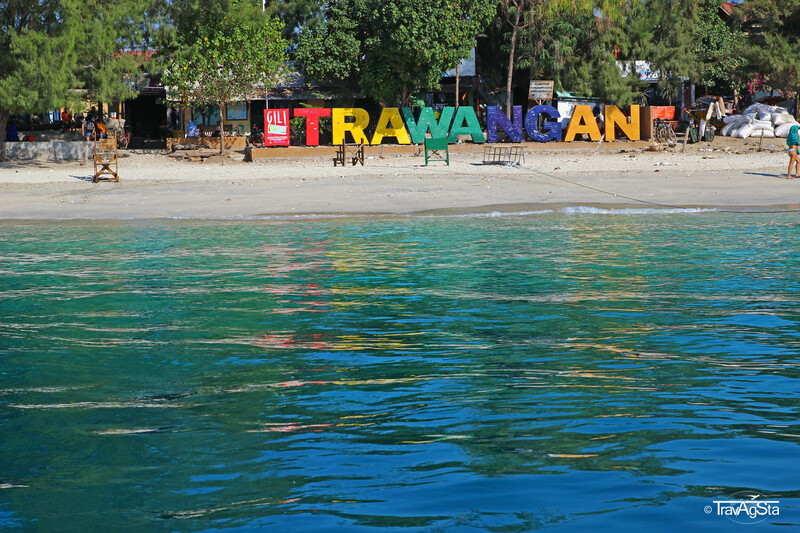 The other islands are definitely more calm than Trawangan, but we wanted to have a fresh water shower and not paying too high prices. And we wanted travelling infrastructure. 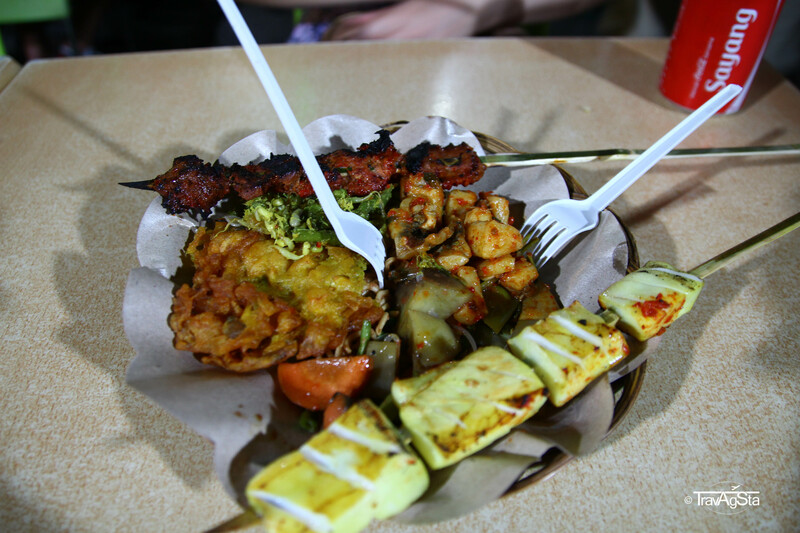 We were really keen on visiting the night market. It’s the only way to get there. This is not for the faint hearted. The boat ride takes around one and a half hours, depending on wind and waves. The first ride there was ok, as there were almost no waves. But the return was a nightmare. 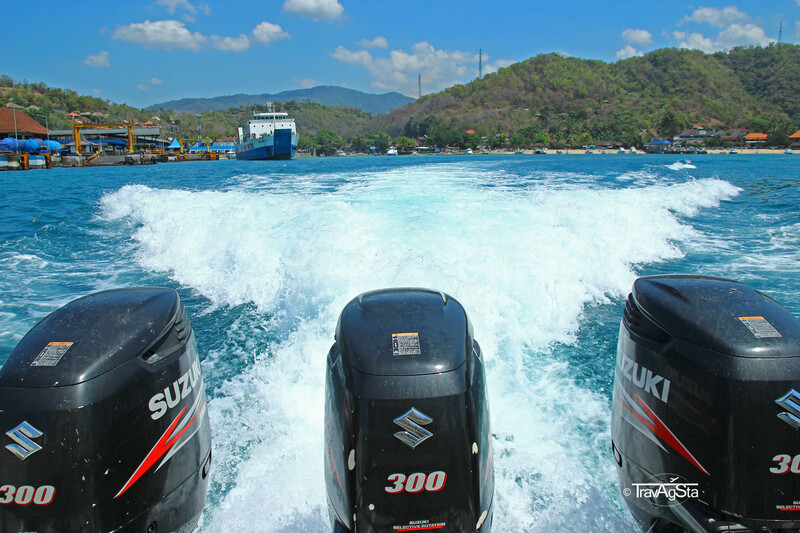 Even I, and I usually don’t get sea sick, felt a bit strange after the ride. This strange feeling lasted until the next day. So if you’re sea sick, don’t do it – or at least use the sick bag. Costs: We booked the trip in Ubud. 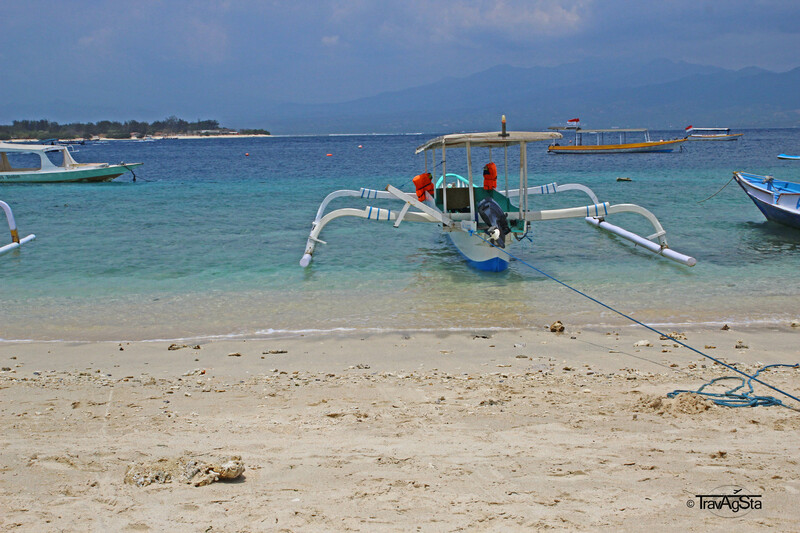 We paid 1.000.000 Rupiah for going there and return – which was a good price. Due to high competition, prices declined in the last years. Indonesia has a huge, i mean very huge, problem with waste. It’s everywhere and nobody feels responsible about it. To what we’ve seen it’s not only a rumor. 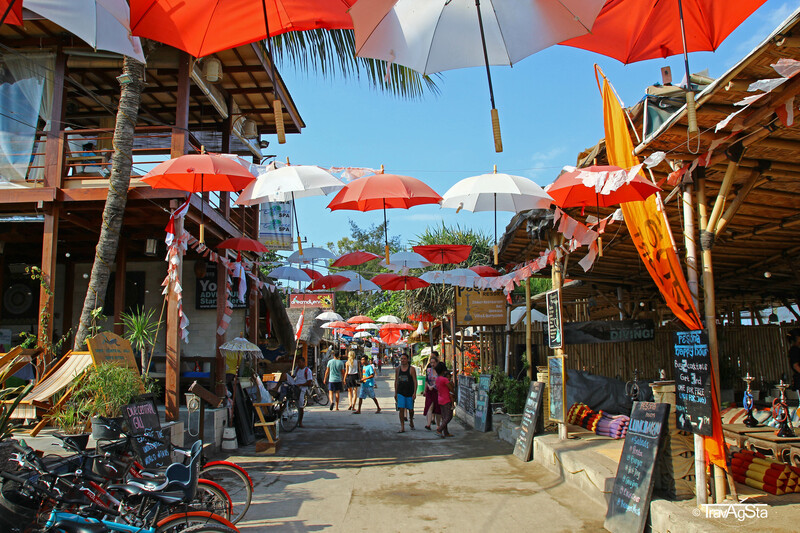 During our travel, we got to know to other travellers, who visitied other parts of Indonesia and they said, compared to the other islands, Bali is the cleanest place on earth. Especially Jakarta must be the trash and dirt hell itself. 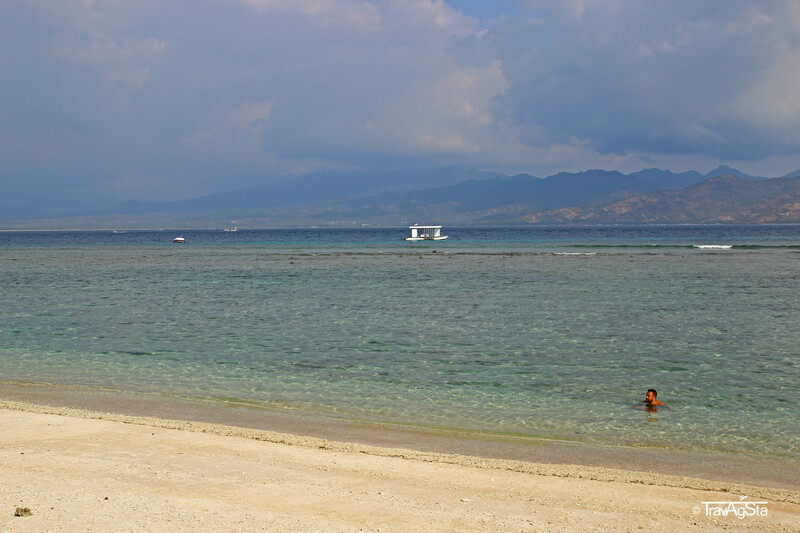 Everyone saying, Gili Trawangan is just beautiful, has never entered the inner part of the island. Actually, it was not our intention either. We wanted to see the sunset at the west coast of the island. From the east (where we stayed) there was a street leading to the West along the beaches. Walking takes a while; bicycle is a bit dangerous due to darkness and the rough ground (of course a lot of people did this nevertheless); or you can take the carriage, which is expensive. So we two smarty-pants decided to go through the inner part of the island, thinking we’ll be much faster on the other side. 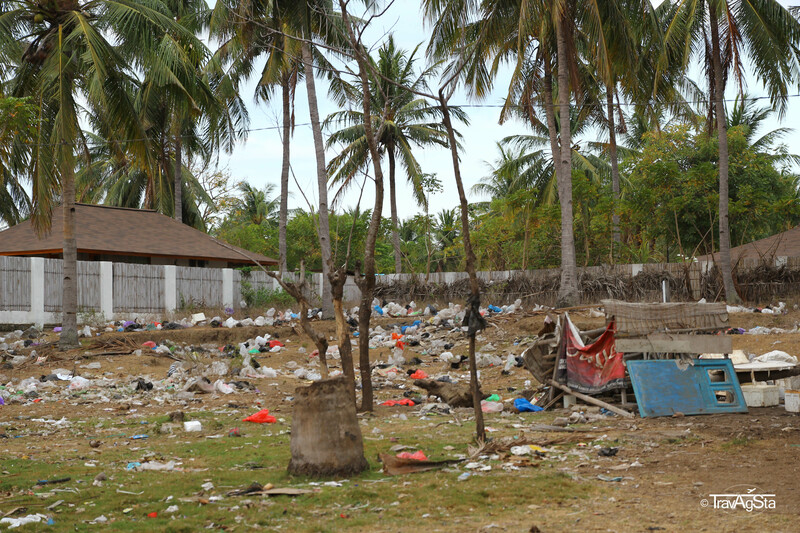 The moment you leave the party center, you see the shacks people of Gili T are living in. The lovely view was interrupted by a few luxury villas. Personally, I wouldn’t want to find a peaceful place here. Children play in the dirt. 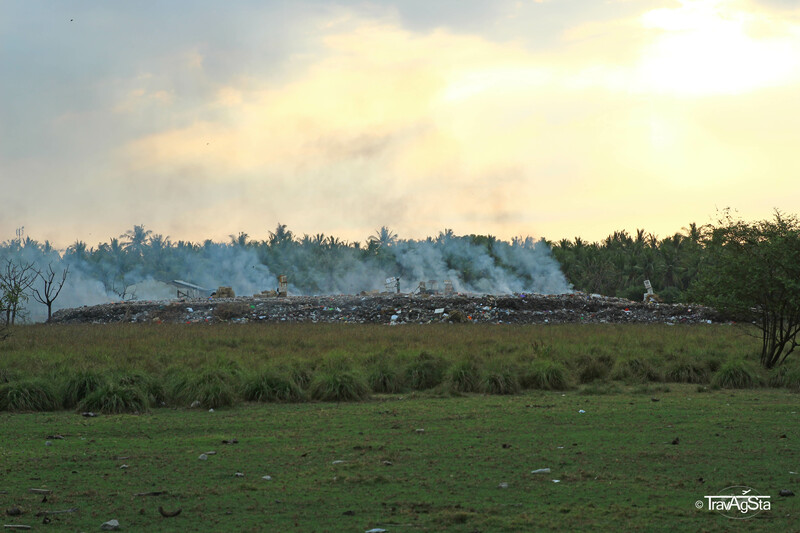 The soccerfield is next to a huge waste dump where they burn their trash. It smells like hell. Nothing for the weak. Really, we never smelled something like this before. 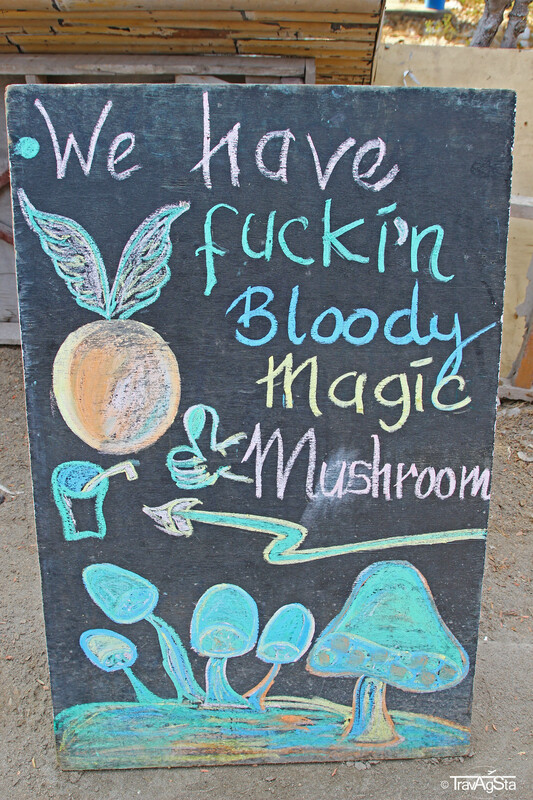 And as if this wasn’t enough, they way we took felt like neverending and our feet were raven. Maybe we lost our way; but maybe this was the only way to the west via the inner part of the island. We didn’t know where we went, but we followed the sun. 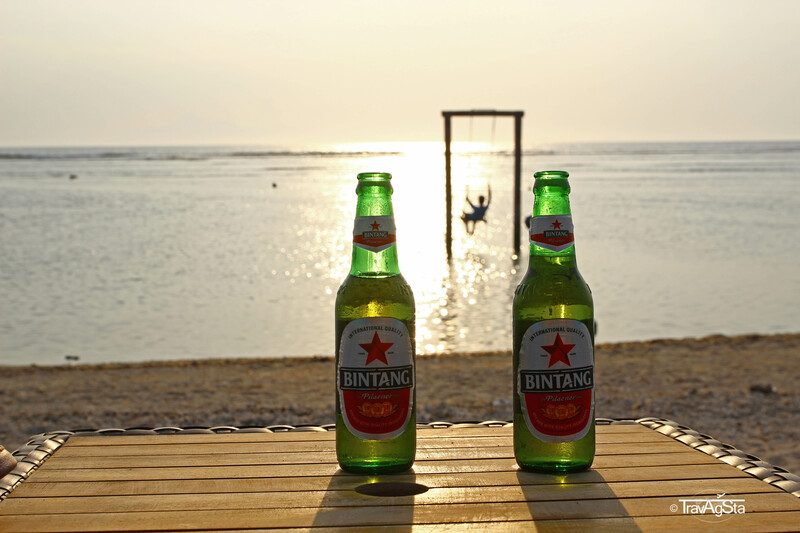 At least, we got rewarded with a beautiful sunset at a cool place with cold beer. This leads us to the next. 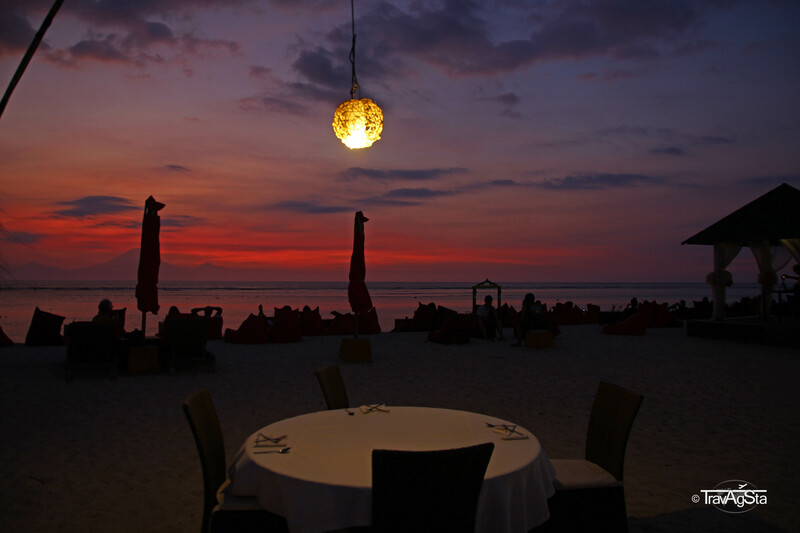 On the west and south west of the island, you can watch amazing sunsets every day. 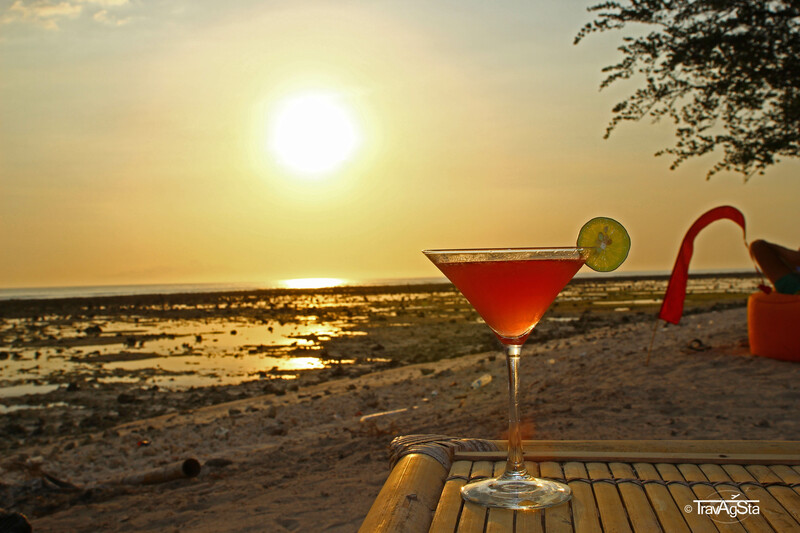 There are lots of bars, where you can enjoy the view with cold drinks. You can see as far as to the Gunung Batur on Bali. First row seats are occupied very quickly. There’s a relaxed atmosphere, even if some of the bars’ music is just too loud. We cannot recommend specific bars. I wanted to go to these swings so badly. You’re not getting the chance to swing in the sea every day. The dream of the dreamers! 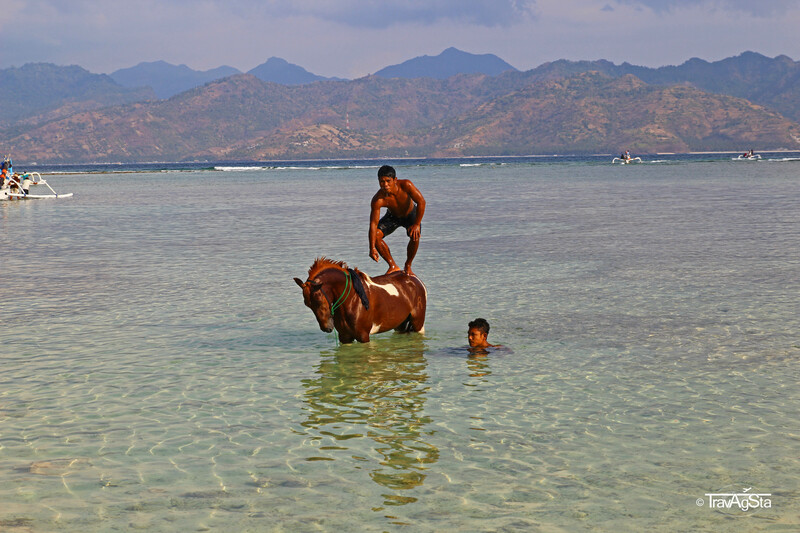 You can do this at the beach of the Ombak Sunset Resort in the south. It’s so much fun. 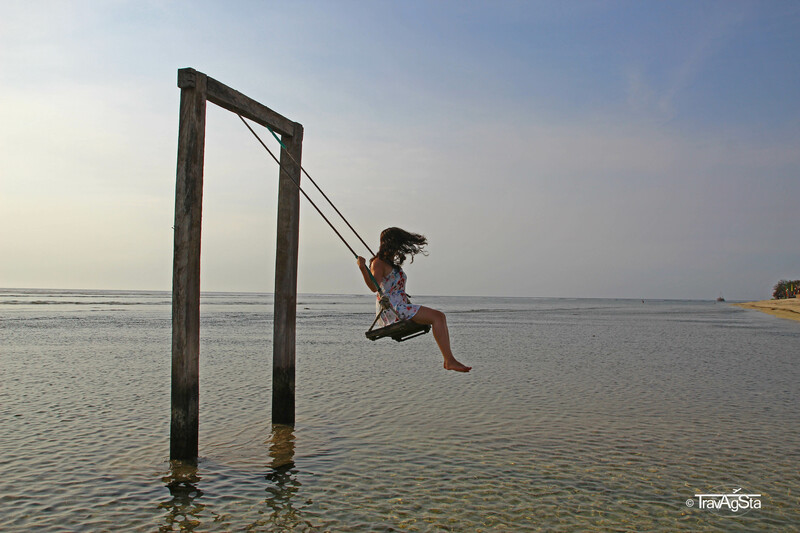 In the late afternoon, you can have almost every swing on your own and be a little kid again. Towards sunset more and more people come and everyone wants to take pictures. You really have to queue for it and there is nothing left of the calm before. Anyway, it’s beautiful. The colour of the sea is beautiful everywhere on the island. Not to sound snobby, but actually we’ve really seen better beaches. As said before, there is loads of trash and the dead corals hurt on your feet. The north of the island is really beautiful and totally calm. A lot of people come here for snorkelling. As a bit spoilt by Curaçao, Jan wasn’t too impressed about what he saw underwater. I was too lazy. There aree still some living corals here. Well, for now! 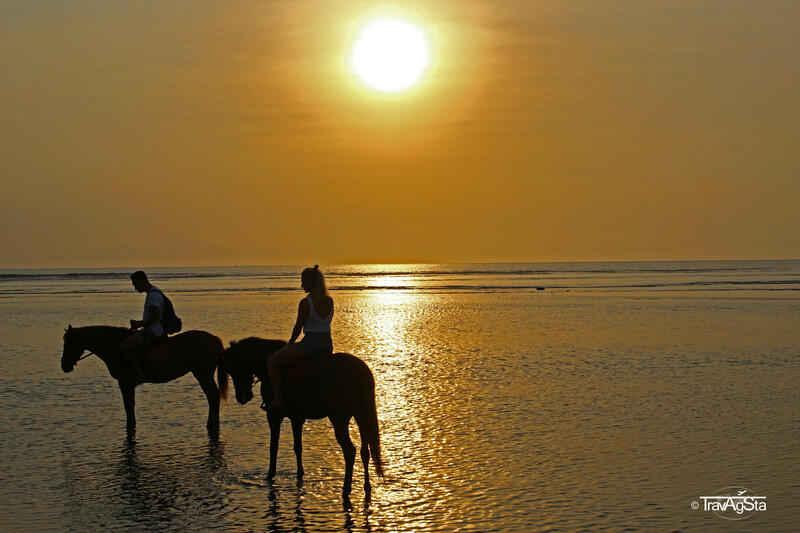 The western part is perfect for sunsets. The water here is clear and the sand leads flat into the sea. The south is similar. There were a lot of things, we didn’t like about the island. Mostly because we felt dirty everytime we left our room. 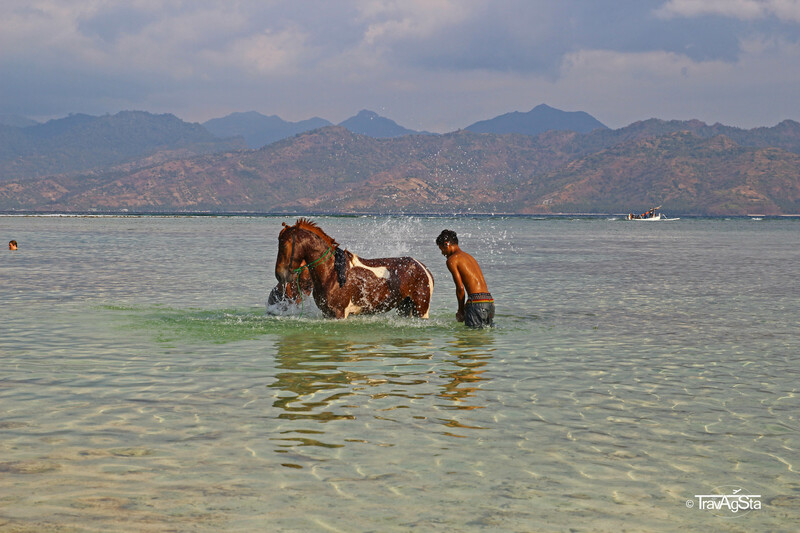 But everytime this was gone the minute you had situations like this: two guys bathing in the sea with their horse. It seemed like pure peacefulness. 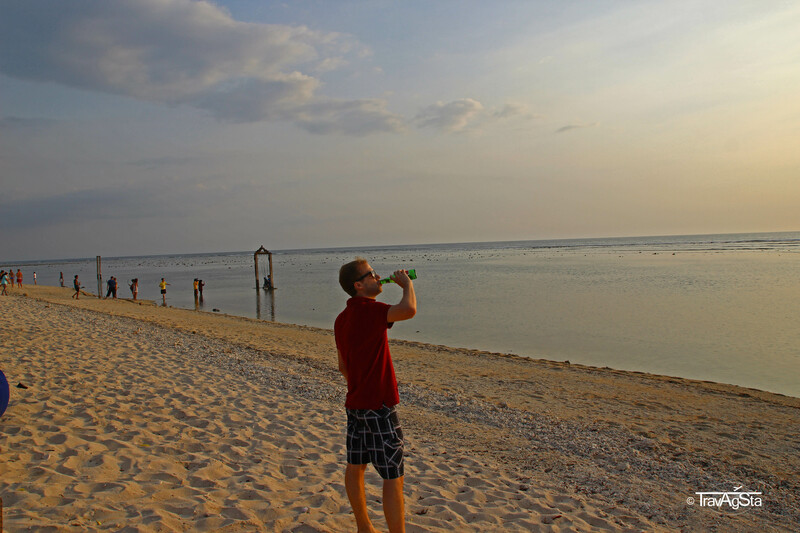 In a pinch, we accepted a bribe in form of beer and sunsets! The beaches in the east are ok. Actually really beautiful. But there is loud Techno Music the whole day (Yes, I’m like a granny) and it hurts your feet going in the sea, as there are tons of dead corals (outside and inside the water). 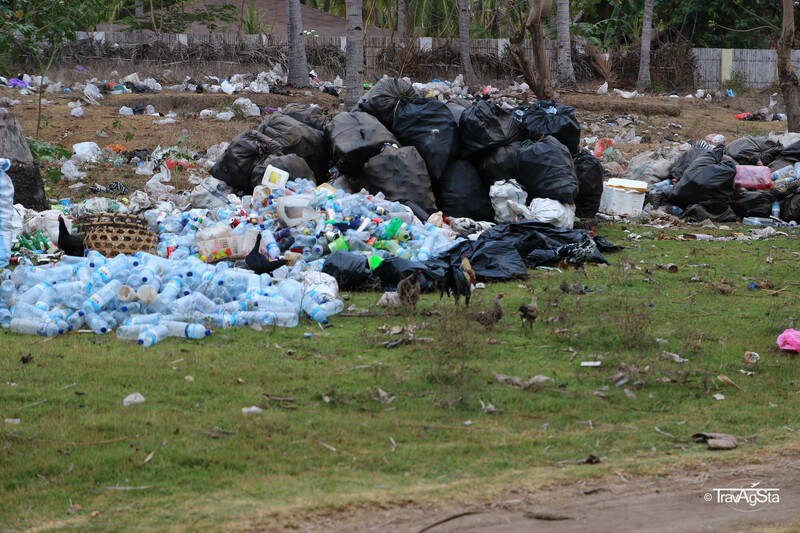 Really Curaçao beaches ruined our future beach life. Another thing are all the boats near the beach making it difficult to go swimming in the sea. 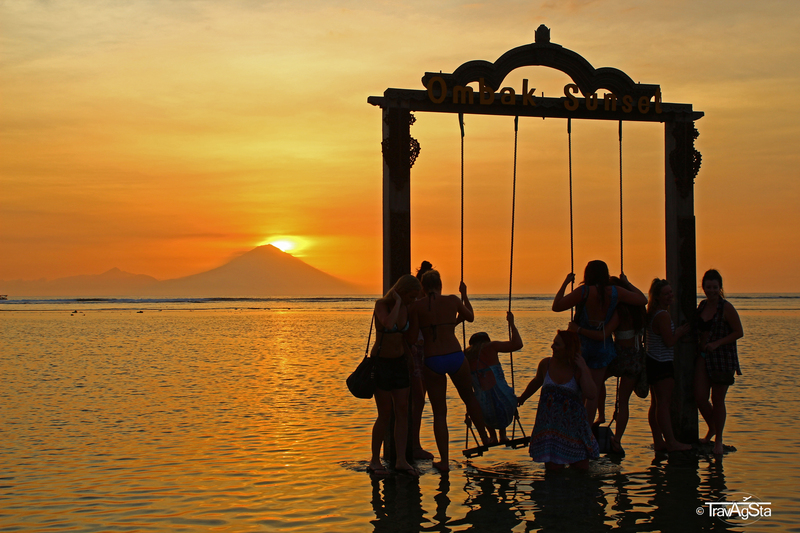 For party seeking Backpackers: This island is made for you! For calm looking people: Avoid this place or at least, don’t come to the village at the east coast! You’re not going to find it here. Also the mosques can be very loud, if you have your homestay next to them! Our hotel was directly at the ‘main square’ with the night market. We loved the central location. It has its advantages, but there is also a but! You’re in the middle of what’s going on (which we liked). On the other hand our last night was a nightmare; it was extremely loud. The boys from our hotel were totally honest with us from the beginning and we knew what we were up to. So everything was alright. To sum it up. We cannot tell you, this is total paradise. It’s a matter of favour. 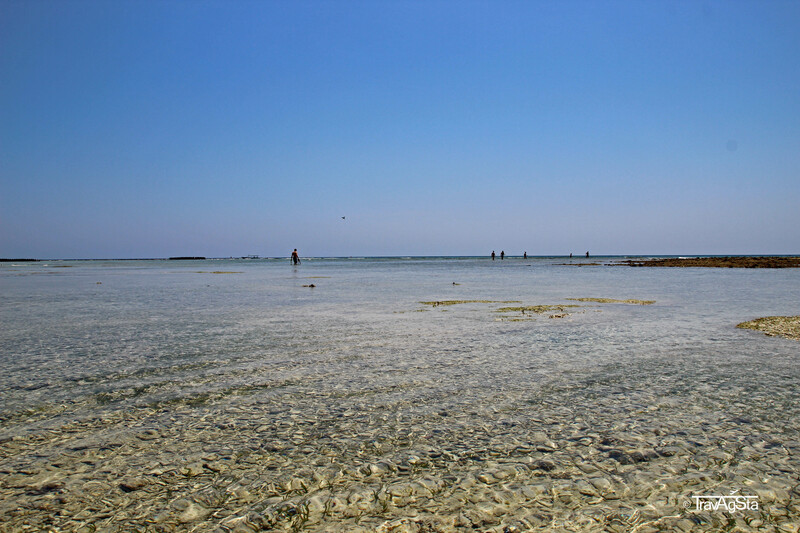 There’re surely tons of people, who experienced this island not as dirty as we did – because they did not see what we saw! 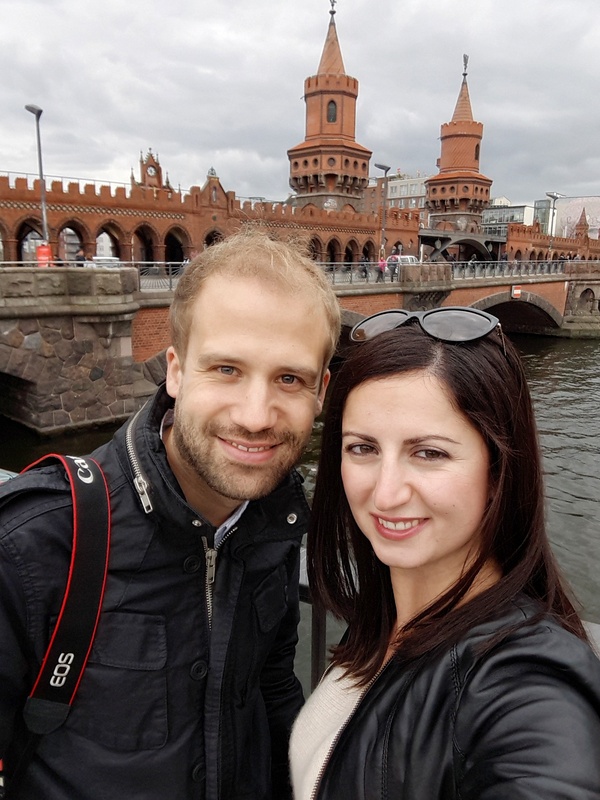 We were happy to be here, had a fantastic time and we were also happy to leave! 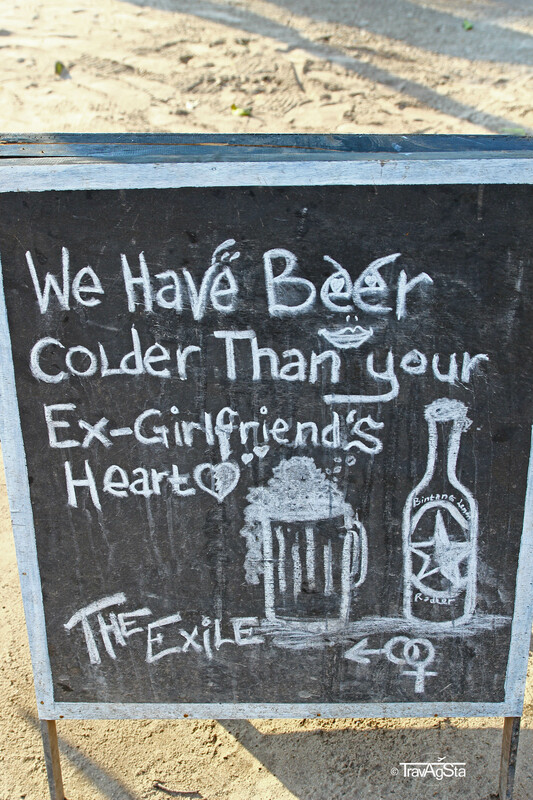 Thank you Gili Trawangan for these life lessons! 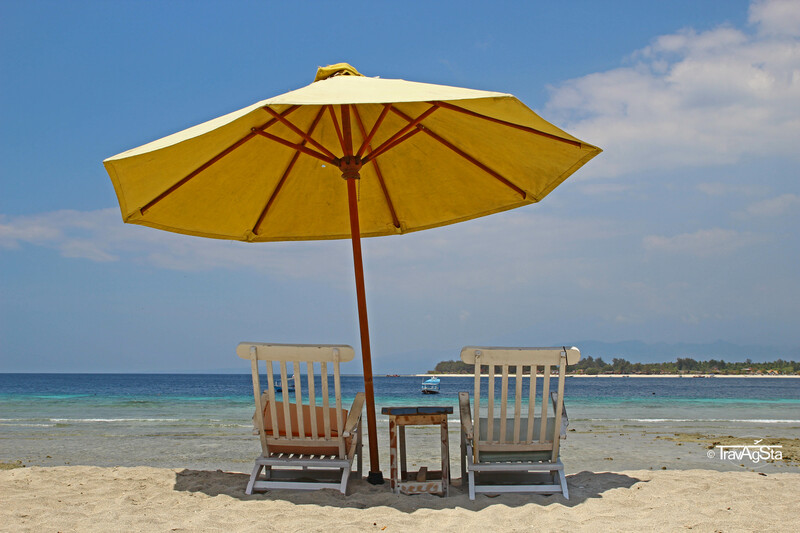 We would love to hear about your experiences on the Gilis! Write us in the comments below or an Email. We’re curious about your opinion!